(c) Craig Allen. 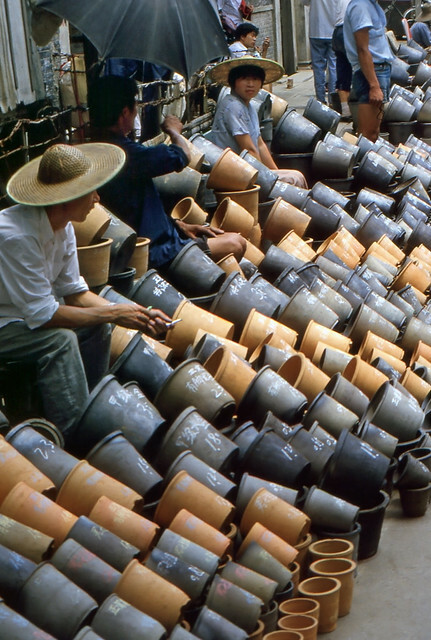 Pottery vendors in Shanghai. Shot in 1986. (c) Craig Allen. 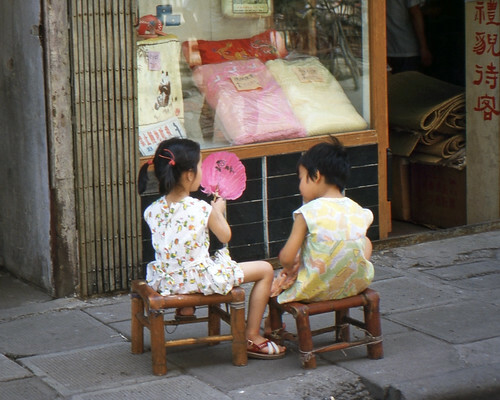 Two little girls in Shanghai sitting outside on a hot day. 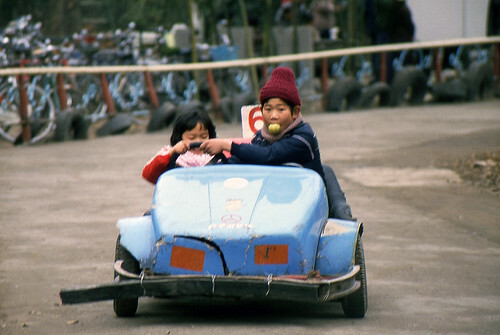 Shot in Shanghai in 1986. (c) Craig Allen. Crickets for sale. 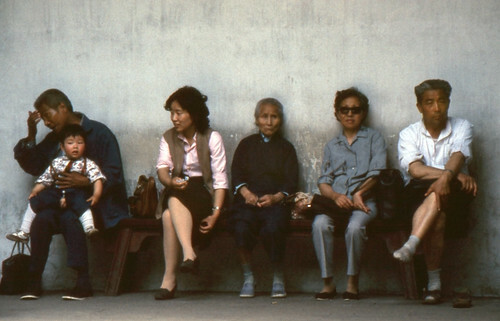 Shot in Shanghai in 1986. Each of the little woven spheres is a cricket, or a locust of some sort. The insects were all chirping, and it was very loud. (c) Craig Allen. 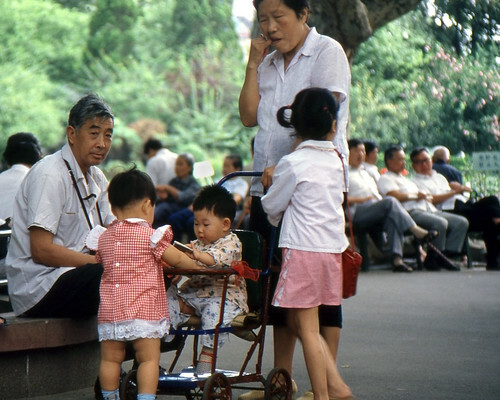 Grandparents looking after children in Shanghai's Huangpu Park. 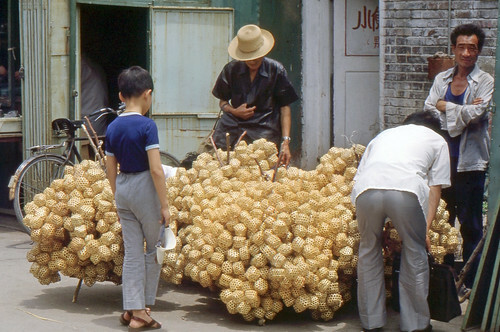 This was shot in Shanghai in the summer of 1986. 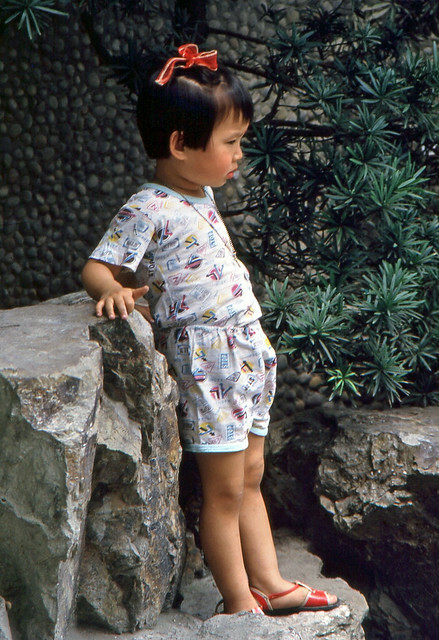 This was shot in Huangpu Park, which is on the Bund next to Suzhou Creek. Up until 1990, or so, this was a lovely and historic little green space. It was always full of people exercising, reading, or just enjoying the shade. It was a wonderful spot to enjoy people watching, too. Unfortunately, the authorities decided to raze most of it, and in its place now is a very unattractive concrete "park" with very little greenery or shade, and seldom will you see people spending any time there. I was very sad when I learned this space had been ruined. (c) Craig Allen. 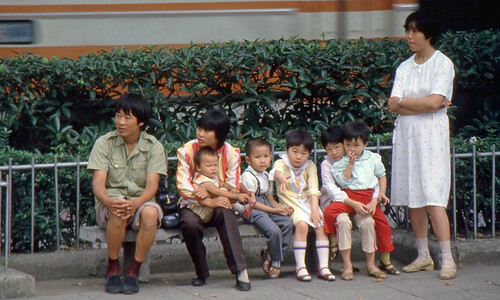 Six people in Suzhou. 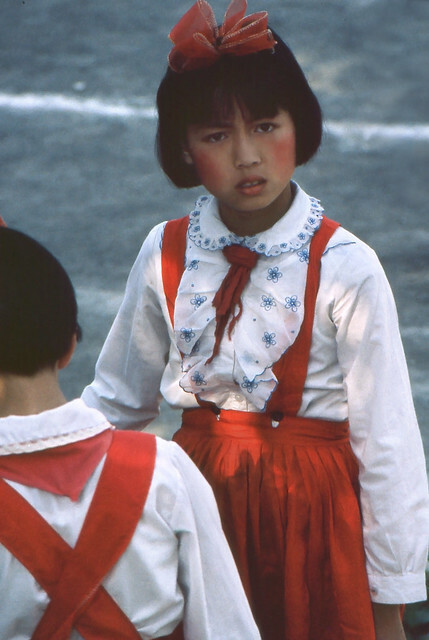 Shot in Suzhou, China in 1986.